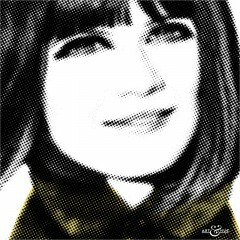 Sandie Shaw pop art print, part of the “Songbirds” pop art collection. 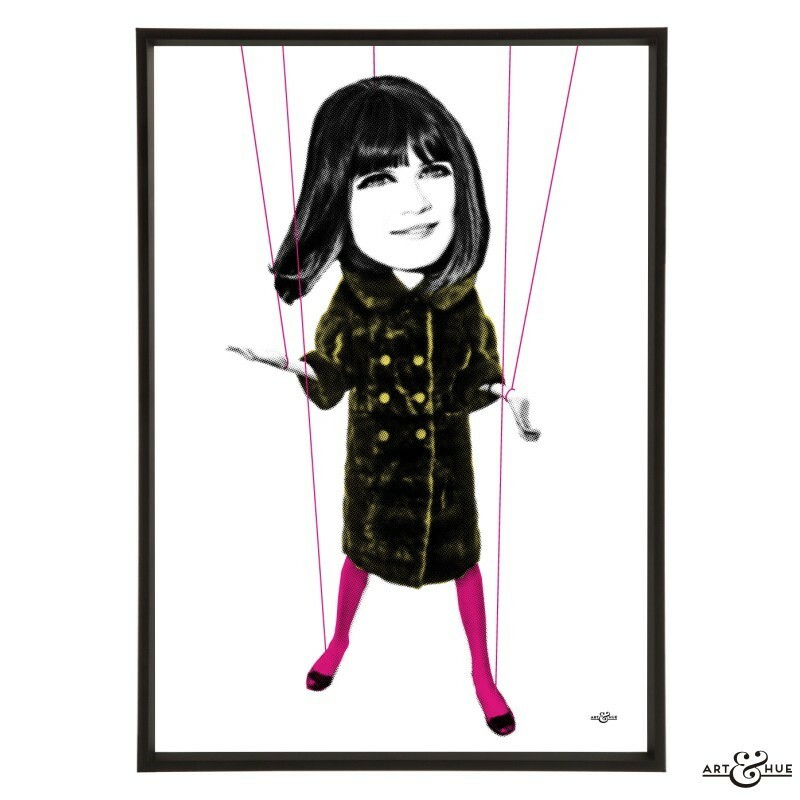 Cliff Richard might have sung about his Living Doll in 1959 but it was the mid-60s that saw the fashion for doll-like features. With models of the decade, such as Twiggy and Jean Shrimpton, exaggerating eyes to look like toy dolls, and the glamorous marionette Lady Penelope capturing the look of the era perfectly, it seems only right that Sandie Shaw should win the Eurovision Song Contest with her song” Puppet on a String”. From “Always Something There To Remind Me” to collaborating with The Smiths, Sandie Shaw has been a mainstay of the British music scene up until her decision to retire from the music industry in 2013. 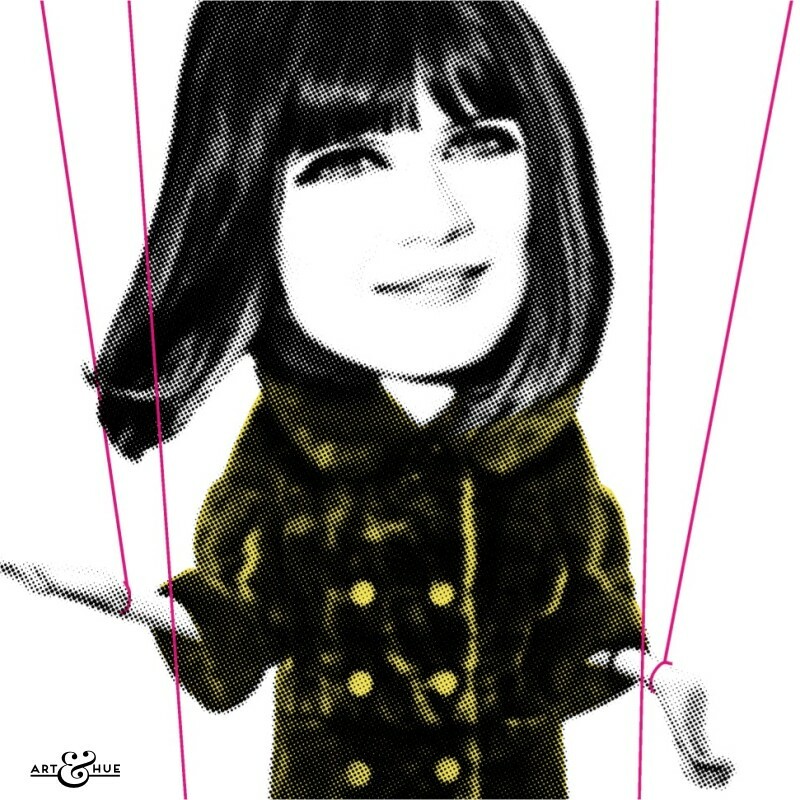 In homage to Sandie Shaw scoring the first British win at Eurovision in 1967, Art & Hue has reimagined the British singer as a puppet herself, with a larger head and eyes similar to the Thunderbirds figures.